OP2906. 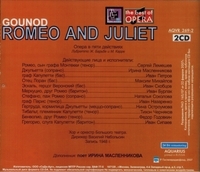 ROMEO ET JULIETTE (in Russian), recorded 1948, Moscow, w.Nebolsin Cond. 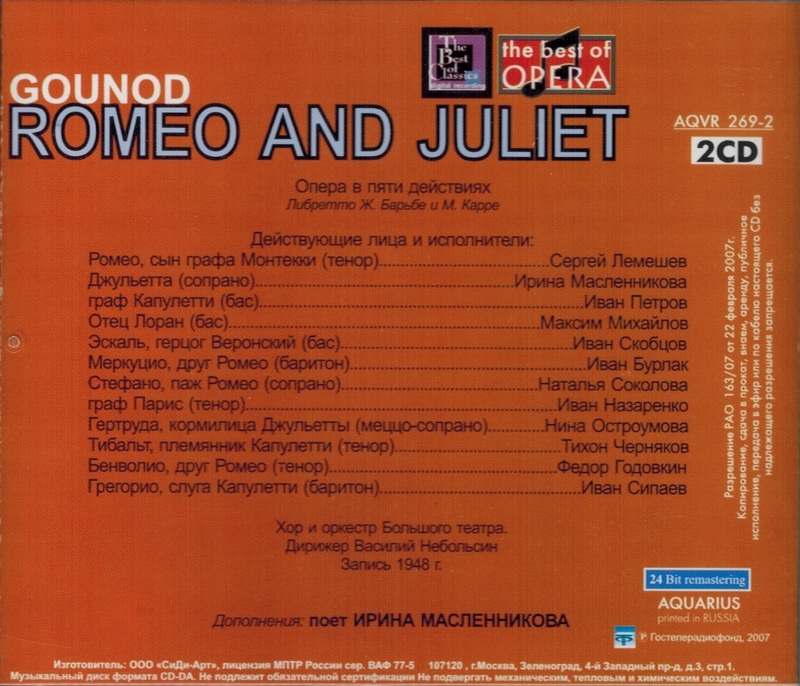 Bolshoi Theatre Ensemble; Sergei Lemeshev, Irina Maslennikova, Ivan Petrov, Maxim Mikhailov, Ivan Burlak, etc. 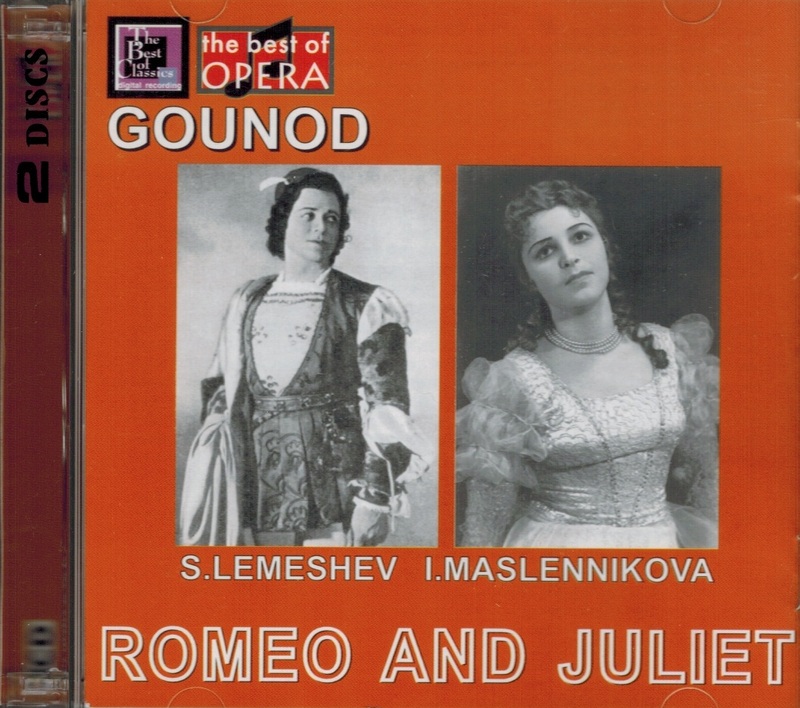 ; IRINA MASLENNIKOVA: Songs by Chausson, Debussy, Ravel & Gossec, Live Performances 1952 & 1956. An exquisite mini-recital! (Russia) 2-Aquarius AQVR 269.